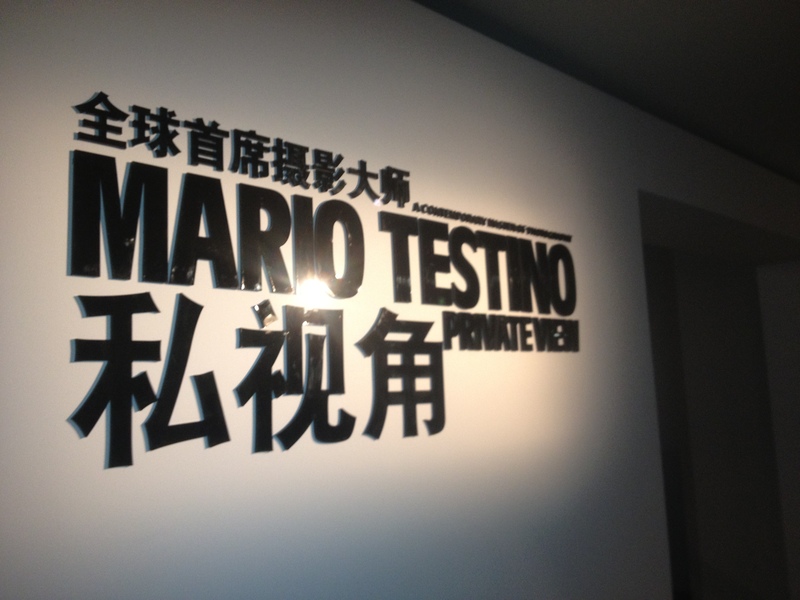 So as I mentioned before, my roommates and I were lucky enough to receive invitations to the opening of Mario Testino’s Shanghai show, “Private View” at the beginning of this month. The name was apt. 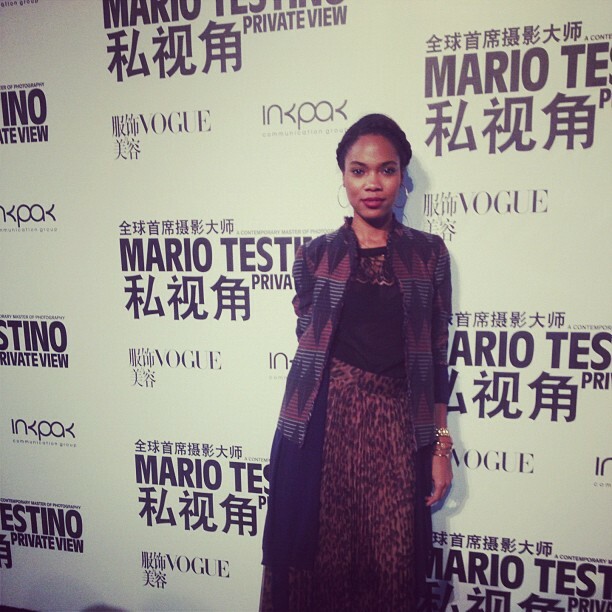 This is probably the fashion-iest event that we’ve been to so far. 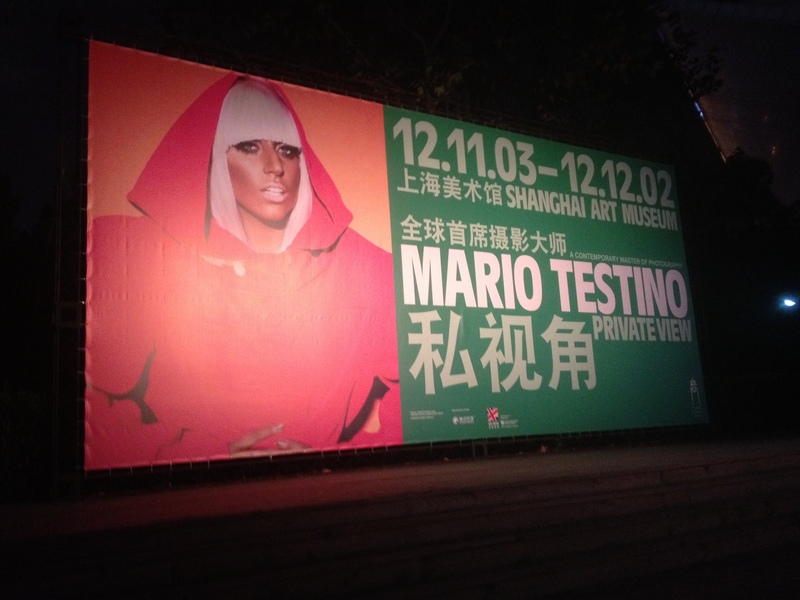 And I don’t know why I was surprised to discover that Testino actually showed up to the thing. It was a big deal complete with yelling papparazzi, the Editor in Chief of Vogue China and other famous Chinese people (I presume). The best part was he was walking around with a little mini point and shoot camera taking his own personal pics of the event! 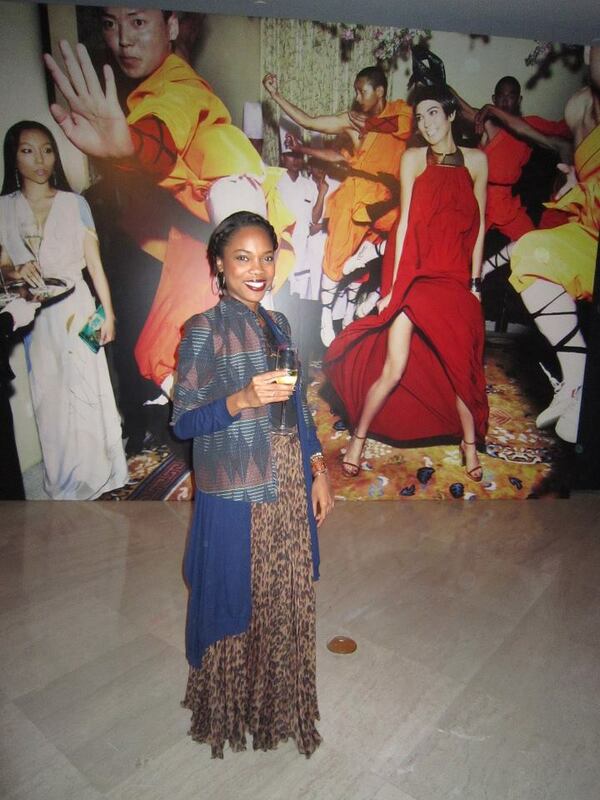 This young lady right here was the style star of the evening for me btw. 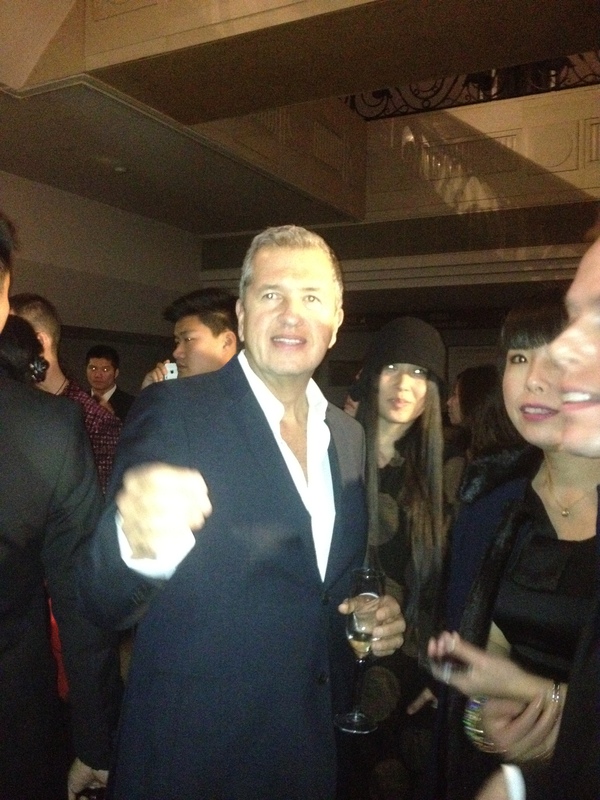 For me most of the event included networking (all 5 black people at the event wanted to talk to me for some reason), drinking champagne, people watching and stalking Testino. The highlight came at the end of the night when my classmates and I were standing in front of the step & repeat pretending to be celebrities (yes we were THOSE ppl at the fashion event...hideously un-chic) when I just felt a presence in the area behind me. I turned around from where I was taking pictures of my roommate. I smiled. I posed. There was a flash. 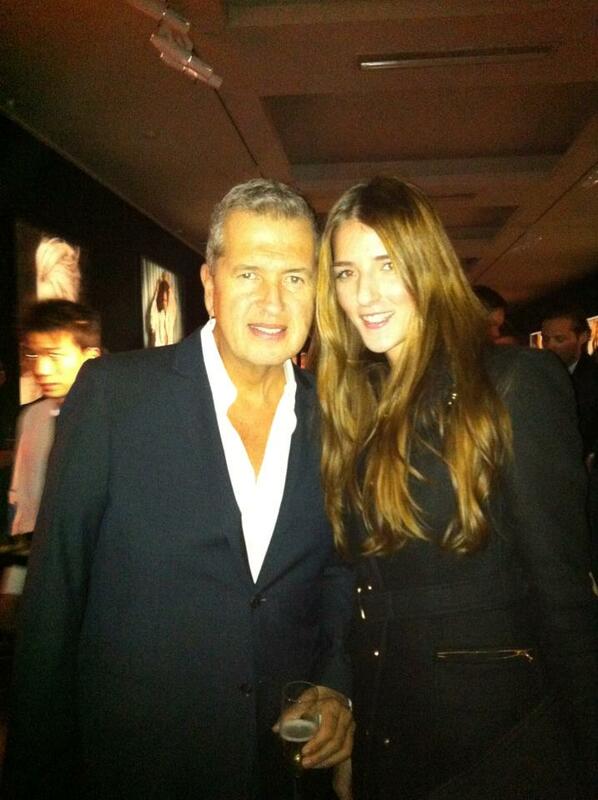 And Mario Testino had taken a picture of me on his little camera. He's officially reached the apex of his career.